If you grow succulents, it won’t be long before you see some fine, little roots growing out of the stem of your plant. Those are called aerial roots! Don’t panic; your plant is probably healthy. Aerial roots can be an indication that your succulent wants to be cared for a little differently, though. Read on to learn about air roots and what to do about them! What are Aerial Roots for? 1. Aerial Roots can absorb water from the air. 2. Aerial Roots can absorb nutrients from the air. 3. Aerial Roots can absorb, uh, air from the air. 4. Aerial Roots can provide structural support. 5. Aerial Roots can be propagative. What Kinds of Plants Grow Aerial Roots? Why is my Succulent Growing Aerial Roots? Is your succulent getting enough light? Is there an issue with watering? Can I Remove Aerial Roots? An adventitious root is any root that grows from a place that isn’t the, well, roots. If it’s growing from the stem or leaves, it’s adventitious. If it’s an adventitious root just wiggling around in the air, it’s described as an aerial root. Aerial roots are usually pretty soft and thin. They often start out pinkish-purple and slowly fade to white as they mature. Given enough time, a few months or so, they often turn brown and shrivel up. Aerial roots are generalists – they can have several different functions. In places with high humidity, some plants get their water from the air instead of the ground. Aerial roots are usually the ones absorbing water vapor, but it’s at a slower pace than traditional roots. Additionally, as they get older, the root hairs (practically microscopic roots) will fall off or die, making water uptake even less efficient. In most cases, there are no nutrients usable by plants in the air. Plants don’t use any gas as nutrients (even nitrogen has to be turned into nitrate by bacteria first). Occasionally, nutrients will be carried by water vapor or water droplets in small quantities. Aerial roots can harvest that. It sounds dumb, but hear me out. You know plants need air to do photosynthesis (both carbon dioxide and oxygen). For most plants, they get the air they need by performing gas exchange through their leaves. This is a little less true for succulents and cacti since many have a special form of photosynthesis called CAM photosynthesis (their leaves are “shut” during the day, and only open for gas exchange at night). BUT roots absorb air too – a lot of it, actually. They supply necessary air to any part of the plant that isn’t the leaves. That’s why it’s important to keep roots dry – so they breathe. Aerial roots are especially common in wet or swampy environments for that reason. In epiphytes (plants that grow on other plants, like the dragonfruit cactus) aerial roots anchor the epiphyte onto the host. Some plants, like tropical figs, form “banyan trees” – those trees with huge numbers of roots dropping out of the branches. For succulents, aerial roots rarely provide support unless the stem droops to the ground – the aerial roots would anchor it there. For plants that propagate via runners (a few kinds of Haworthia included), aerial roots will often descend from a runners stem and provide anchorage… but also become “normal” roots that feed the propagation. Trailing plants too – if a length were to be severed, aerial roots would aid in rooting and feeding the propagation. Theoretically, just about any plant could grow aerial roots. In practice, it mostly happens with tropical plants. That’s true for a few reasons – the tropics are very humid and water is abundant in the air. There’s also a lot of competition in the rhizosphere (the “root zone”) in the jungle. Not to mention there are loads of epiphytes in the tropics, and they grow aerial roots pretty much exclusively. Plants that propagate via runners are also prolific aerial root-growers. The Wandering Jew plant (not a succulent, but also drought-tolerant) is a great example. Crabgrass is a particularly notorious one too. Many succulents propagate through pups or buds, less often through runners (Aloe do sometimes, though). 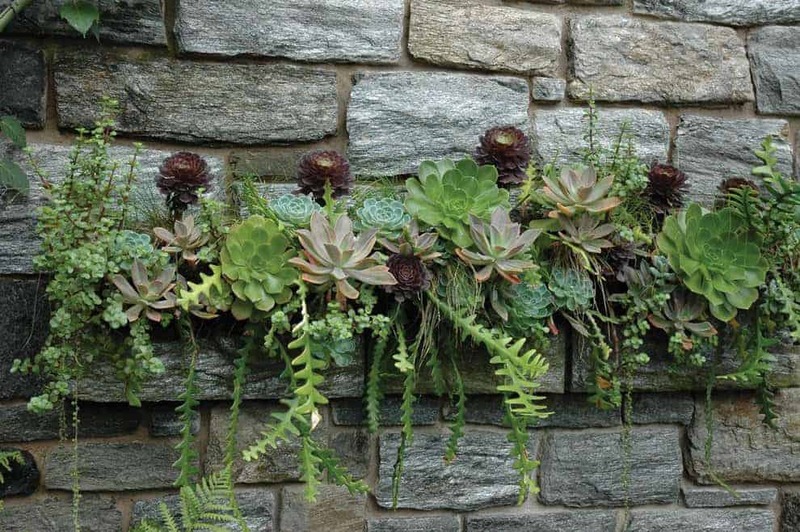 Carpeting plants (like many species of Sedum) and trailing plants (like Burro’s Tail, also a Sedum) commonly grow aerial roots. They’re intended to root the plant should the stem touch the ground so it can continue growing outwards or downwards. First of all – don’t worry. If your succulent looks otherwise healthy but is producing a lot of aerial roots, it’s fine. They don’t indicate imminent death or anything. It’s possible that you’re caring for it perfectly and there is absolutely nothing wrong. Sometimes plants just do stuff. Biology isn’t a flawless machine. If the plant is etiolated, becoming “stretchy” or “leggy”, it’s because it doesn’t have enough light. Etiolated succulents often grow aerial roots. It’s not because they expect to absorb more light with the roots, of course. There isn’t even any chlorophyll there anyway. They grow aerial roots because they’re probably getting topheavy and they expect to fall over soon. Once they fall over, those aerial roots will anchor them and they can begin growing upwards again with a solid foundation. Giving your succulent more light, perhaps with a grow light, will discourage aerial roots and etiolation. It’s not like they’re getting that much water from the air anyway – it’s better to try and fix the humidity problem. Airflow can help a lot – try a fan. This could be one of two things. First – your soil might be staying moist for too long. That’s usually caused by too much organic matter in the soil – stuff like peat moss, coconut fiber, sphagnum, etc retains water. That’s the opposite of what succulents want. Unfortunately, many commercial succulent mixes contain organic matter for whatever reason. Here’s a list of the best premixed soils or a guide on how to make your own. Get a grittier mix that drains very quickly and your aerial roots will probably be less frequent. Second – you might have dry soil, but you aren’t watering enough. It’s a common misconception that succulents don’t want a lot of water. That’s not true – they want loads of it… but all at once instead of spread out over days. The plant might be looking for supplementary water, hence the aerial roots looking for moisture in the air. When you water your succulents and cacti you need to drench them thoroughly. Read this in-depth guide for more info on watering. If you’ve addressed all of the above and you still have aerial roots – don’t worry about it. It’s not your fault anymore. You covered all your bases. They can get quite numerous and be kind of bushy… but in an ugly way. They’re kind of cute when they’re fresh and pink, but the dried up ones are an eyesore. You can snip them off with trimmers, fingernail clippers, whatever. If they’re old you can scrape them with a credit card and they should fall off easily. There’s no harm done to the plant, so don’t worry. Should I grow succulents indoors or outdoors?